The Ultimate Pack contains added enhancers to help boost metabolism, rev up your energy, fight hunger and more. Our Ultimate Pack helps put you in complete control as your body reaches its nutritional balance. A careful combination of science and nature work 24 hours a day to great effect. 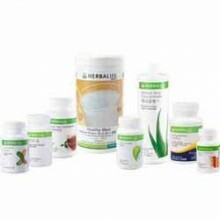 The Ultimate Pack includes all the components of the Quickstart and Advanced Packs plus Herbalifeline. It also has a larger container of Herbal Tea Concentrate (100 gms).